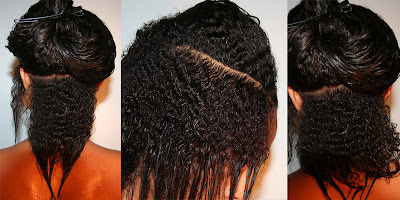 There is a difference between your hair needing Moisture or in need of a Protein Treatment. One way to see if your hair needs protein, grab one of your curls while your hair is very wet/damp. Stretch it all the way out and let go. If the curl bounces right back into place. You have a good amount of protein: If you stretch it all the way out and it gets limp or even break off after letting go, you seriously need moisture. Fast! Hurry up, get a spray bottle filled with distilled water and SPRAY! Another way to tell if your hair lacks moisture: If its really dry by the feel. Not so much by the sight, because our hair texture sometimes lack the view of being moisturized when it really is, so if it feels dry. Then it is dry! Moisturize your strands ASAP! Protein is what gives the hair its strength and structure. Hair is about 70% keratin protein by nature. Protein is found most prevalently in products like instant conditioners (bargain brands like Suave and V05), leave in conditioners, protein conditioner treatments, and even some moisturizers. Moisturizers are products that are water-based and nourish your hair deep within the strand. Water is the ultimate moisturizer so water based products are best for really getting the best moisture benefit. Products with moisturizing properties tend to be your conditioners and other water-based products. Moisturizers may also be protein-based, but these protein based moisturizers do not have the moisturizing benefit that moisture-based moisturizers have. Good moisturizers will not contain ingredients like petrolatum, mineral oil, or lanolin. These are cheap product fillers. Be wary of products that claim moisturizing benefits and contain these ingredients. There is nothing moisturizing about them! Petrolatum and mineral oil are sealants and have the potential to suffocate the hair and scalp and seal out the moisture it needs. A better word would be nourish the hair strands. Oil alone will not and cannot moisturize within the hair shaft. An oil can only coat the outside of the strand, and give it shine- the illusion of moisture. There is a way to seal in moisture using oil, but oil alone can not moisturize the hair, it can give shine and nourish. You can spray your hair first with water, then rub oil in it. This can help seal moisture. Always use proper oils aswell. 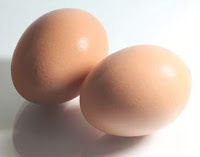 You have a great amount of Protein if (while wet) your curl bounces back after being stretched out completely. You have a great amount of Moisture if your hair feels soft, and does not break easily. You will know the difference, because hair that needs moisture will not feel great. You can have moisturized hair and not enough protein and vice versa. Your hair will be soft, look great, but breaks and the curls aren't together! Too much Protein will break the hair. If it's in the form of a conditioner, it will coat the hair and make it look heavy, volume-less and greasy. Too much PROTEIN and Needed MOISTURE! Some Naturals who live in drier areas, mainly the south, use protein treatments more often because of the climate, but beware of over treating! They are okay to use, but do not do them often. once every 2 months? or just when u feel needed?